Star Wars Celebration Europe looms large on the horizon, and with it, perhaps a glimpse of future of Ezra Bridger. Dave Filoni, executive producer and supervising director for Rebels, has promised to bring the first two episodes of Season Three with him for viewing. In anticipation of what might be learned, let’s take a look at one dangerous signpost for Ezra. In “Spark of Rebellion,” we were introduced to a new band of heroes in the Star Wars universe, the first among them being Ezra Bridger. 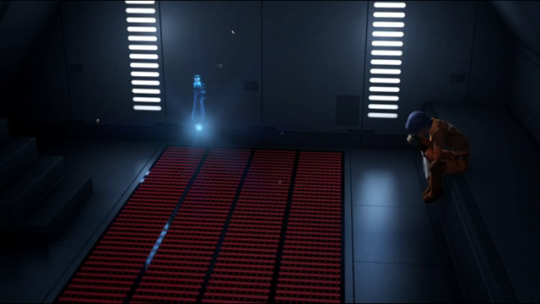 Over the course of the episode, Ezra meets the rebellious crew of the Ghost and explores the craft, including Kanan’s room. In the former Jedi’s quarters, our future padawan discovers Kanan’s Jedi holocron and succeeds in activating it to reveal a message from Obi-Wan Kenobi, announcing the fall of the Jedi Order. Near the end of the episode, we learn through a conversation between Hera Syndulla and Kanan Jarrus that Ezra’s activation of said holocron indicates that he has the potential to become a Jedi. Ominously, this is not the last holocron that Ezra activates. “Path of the Jedi” places Ezra within an ancient Jedi temple and in conversation with the disembodied voice of Yoda, who questions him as to why he wants to become a Jedi. Ezra’s initial answer is striking, “Well, I’ll become stronger, powerful…I’d make the Empire suffer for everything it did, for everything it took, for my parents! 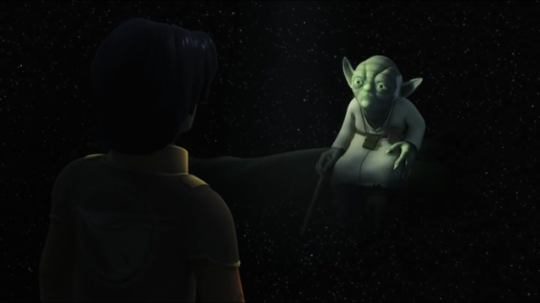 I, I wouldn’t be helpless anymore!” In response, Yoda adeptly warns Ezra that within him lies anger and fear. After this admonishing, Ezra changes his answer to be one of a desire to protect his friends and everyone else. This answer seems to satisfy Yoda, but the Jedi Master’s role in the series has so far served to provide Ezra with a mirror into his own motivations and soul. Leaping into Season Two, Yoda returns in “Shroud of Darkness” to once again warn Kanan’s padawan about the danger associated with power, even when put to use in what appears to be a noble goal (in this instance, defending the Old Republic at war). The end of the conversation provides the name Malachor, which is where our second season finale is set. “Twilight of the Apprentice,” when taken with consideration for Ezra’s future, may have well been filled with the alarming klaxons from the trailer for Rogue One; there is danger, much danger. At the center of this peril is Maul, who is cleverly represented as something of an anti-Yoda for an unsuspecting Ezra. We have already addressed the manner and way Maul did so (See our review of the episode), but important for this post is the fact that Maul encouraged and pushed Ezra into using the Dark Side of the Force. The primary purpose for this taboo act? Power. The power to lift giant stone doorways and leap vast distances, all of these represent stepping stones for Ezra down the path to losing himself to the Dark Side. 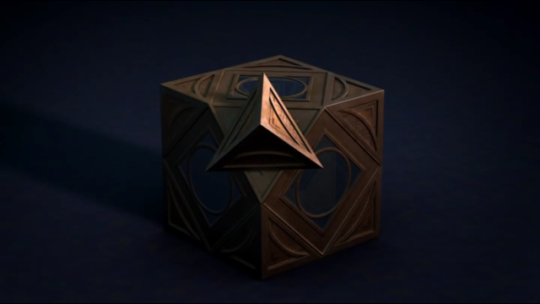 At the climax of the episode, Ezra rejects Maul, but not necessarily the allure of the Dark Side, retaining the Sith holocron which had been Maul’s McGuffin. Now we return to “Spark of Rebellion” and the insight that opening a holocron reveals potential in the Force, as “Twilight of the Apprentice,” concludes with Ezra opening the Sith holocron in his quarters. The immediate conclusion, based on everything that has come before, is that Ezra Bridger’s future may be a dark one in Season Three. 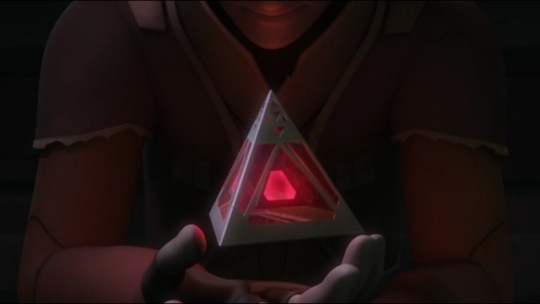 Ezra’s desire for power, no matter how good intentioned, may lead him to seek knowledge within the holocron, and so continue the path to the Dark Side that was started under Maul. Throw in the news that Maul will return and the danger awaiting Ezra grows even stronger. What will be revealed in a darkened hall in London? For now, it seems nothing good for Ezra’s fate as a Jedi. ← Jar-Jar is Wicket, Wicket is Jar-Jar.